Retelling novels are a clear trend; how much it is a retelling for each of us relies on having read the original source of inspiration or not. To me retelling works are good all around; they’re evoking and thus paying tribute to previous works by giving them the contemporary twist and making a place for themselves at the same time, reminding us of our previous reads or making us curious about books we haven’t read yet – either way, they’re a throbbing vein keeping culture alive regardless of the historical moment of publication. 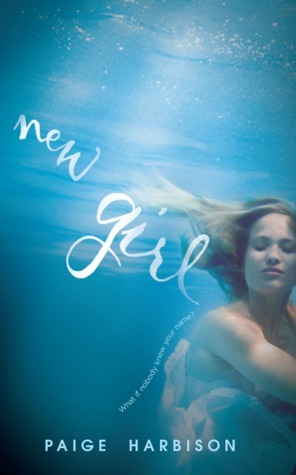 New Girl is a relative retelling of Rebecca by Daphne Du Maurier; I’m calling it relative because if you’ve read Rebecca you’ll know the plots of the two novels are deceptively similar while soundly different in many aspects. I’m really tempted to highlight those differences, but that will give away the plot of New Girl and I’d hate to do that. Maybe we’ll discuss this sometime later, after more of us will have read New Girl and Rebecca, we can do like a book club type of discussion, hm? Tell me by comment or email if you’d be down for that, it would be fun to do right? Anyways, back to New Girl. I’ll begin by saying some of the charm and suspense of this read comes exactly from the Rebecca reference and parallel, the similarity/difference aspect of the plots makes New Girl an even more suspenseful read, because I was constantly thinking, ok, so Max (Maxim in Rebecca) and Becca (short for Rebecca – here the connection is quite clear :D) – a retelling or a parallel universe? Everything was more intense because of it, I was completely on edge about Max from start till end. I also came into the read with a considerable negative attitude toward him, and though it didn’t do the character Max any favor, it did a lot for the quality of the reading experience, it heightened my interest and emotional involvement. The New Girl storyteller female character, the MC (main character), also thanks to the Rebecca reference, gave me these conflicting feelings, and just like my feelings towards Max, they settled some only when I reached the end of the book. For a few reasons though, the female MC was more endearing then the one in Rebecca, I liked her more perhaps because of her young age and light heart, she kept giving me this suave, sunny feeling more towards the beginning of the novel, and her transition from warm climate to a dreary one both on a personal and environmental level was interesting to follow. Dana was also an interesting character, she stood out from the habitual bleah herd of look-alike fans of the popular thing; where the herd was grating on my nerves (they’ve always done so and will most likely always will – insert dramatic eye-roll & sigh), and her obsession for Becca gradually brought the punch to an already intriguing turn of events in the plot, her character revealing to be an incredibly conflicted and somewhat twisted one – a great delight. Her unraveling, so well portrayed and extroverted in its nature, puts the MC’s inner struggles and introverted tensions in the spotlight by contrast, they make a really interesting couple of characters. The ending is an apparently happy one, I mean the novel ends on a positive note (at least there’s no burning buildings, lol); is it a happy ending in a traditional sense? Hard to say, there isn’t a clear ending in fact, it’s quite open I’d say. Though some future events seem to be hinted, they could or could not take place and both versions might be just as likely. Will Max and the MC (not giving you her name, it’s part of the charm) become a real item, or will they move on after graduating and become nothing more then a memory for each other? I personally like to think they move on, just because Max is not exactly relationship material if you ask me. He doesn’t seem to really learn a lot from his experiences (he put up with Becca’c antics for waaaaaay to long if you ask me) and instead of evolving he’s the sticky-type more like. But hey, to each their own right? If I’d have to pick a favorite between Rebecca and New Girl, it would be Rebecca I will admit, but not because they’re similar and Rebecca is done better or anything of the like, but because Rebecca is a novel more to my personal taste due to the nature of the characters (except Mrs. de Winter herself, she sort of annoyed me lol), their relationships and their environment honestly – gothic trumps ya for me, sorry :P. They’re two very different things, and I like them both thanks to their differences, in fact. I find it very smart of Paige Harbison to have written this novel in this way. All in all, I do recommend this book, it’s thought provoking, filled with mystery, some awesome suspense especially if you have read Rebecca but even if you haven’t, it’s an original reading experience and it has interesting characters and a great mix of realism and “teen spirit” in my opinion, with a diverse atmosphere of mystery, some suspense, some romance, angst, drama – good stuff.